These tools streamline simple tasks and complex workflows to help you reclaim precious time. One of the biggest boons to productivity has been the proliferation of automation tools like IFTTT. These apps and services dramatically cut down on the time and energy you spend performing common or repetitive tasks. It you’re looking to bring more efficiency to your personal or work life, consider having one of these tools do the heavy lifting. Along with IFTTT, Zapier is one of heavy hitters of task automation, but with a couple of key differences. First, unlike IFTTT, which only enables two-step actions, Zapier supports multiple-step processes, called “Zaps.” Second, it integrates with popular business-oriented apps as well as personal ones. Zapier’s editor lets you create your own Zaps from scratch. Zapier offers dozens of prebuilt Zaps for popular productivity apps including Google Sheets, Trello, and Gmail. But you’ll get the most out of it by creating your own workflows using the Zap editor to define triggers and actions between the apps you choose. Zapier currently integrates with more than 750 apps, including Slack, Asana, Quickbooks, and virtually all of Google’s productivity suite. You can use Zapier for free to make two-step Zaps with a limited selection of apps. You’ll need a subscription, starting at $20 a month with a free two-week trial, to unlock its full power. 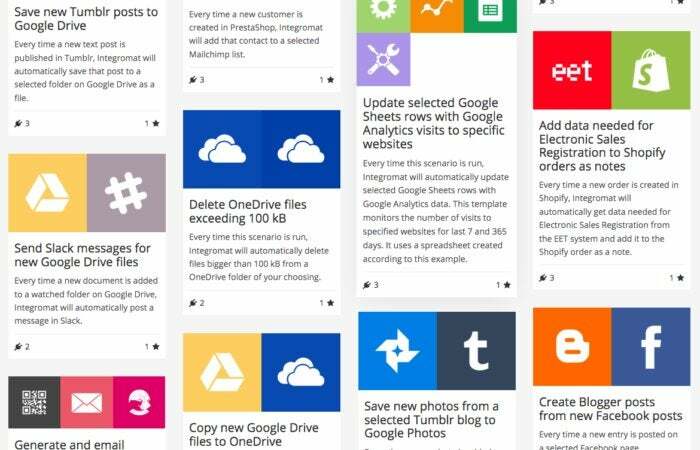 Another IFTTT-like task automator, Integromat enables multi-step workflows dubbed “integrations.” As with Zapier, Integromat works with an array of personal and business apps. Integromat offers a huge library of customizable integrations for personal and work scenarios. Integromat offers hundreds of predesigned integrations for use cases from time and task management to software development and sales. 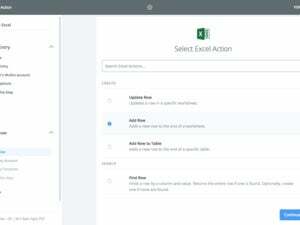 They range from the simple tasks (“Back up phone numbers from Google Contacts to Evernote”) to complex scenarios (“Update selected Google Sheets rows with Google Analytics visits to specific websites”). Any of these integrations can be customized to suit your specific needs. You can perform up to 1,000 Integromat operations (each time you run a trigger is considered on operation) for free. Beyond that, you’ll need one of its subscription plans, which range from $9 to $299 a month. Workflow’s drag-and-drop interface makes it easy to create custom processes. 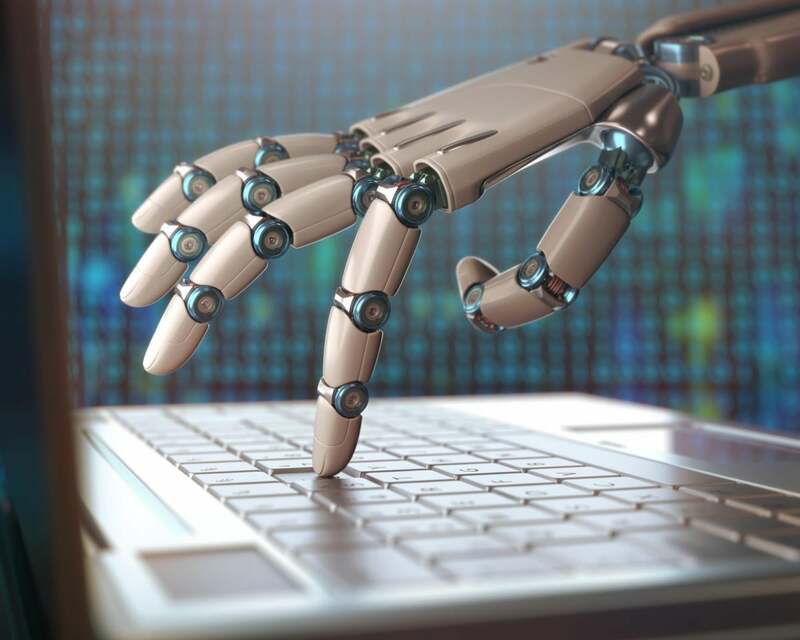 You don’t work only on your PC, so you shouldn’t restrict your automation efforts to your computer either. 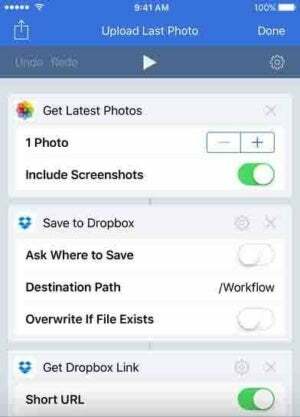 Workflow is an iOS app that allows you to create all kinds of automation actions for your iPhone, iPad, or Apple Watch. True to its name, this personal productivity app lets you create “workflows”—combinations of multiple steps—to complete a desired action with just one tap. For example, the Note to Self workflow links five steps to easily create a voice memo, save it to Dropbox, and add the Dropbox link to Reminders. There are several of these pre-fab workflows that simplify everything from sending a text to let someone know you’re running late to requesting an Uber to a specific destination. You can also build your own by dragging-and-dropping apps and actions. Workflow is $3 in the App Store.